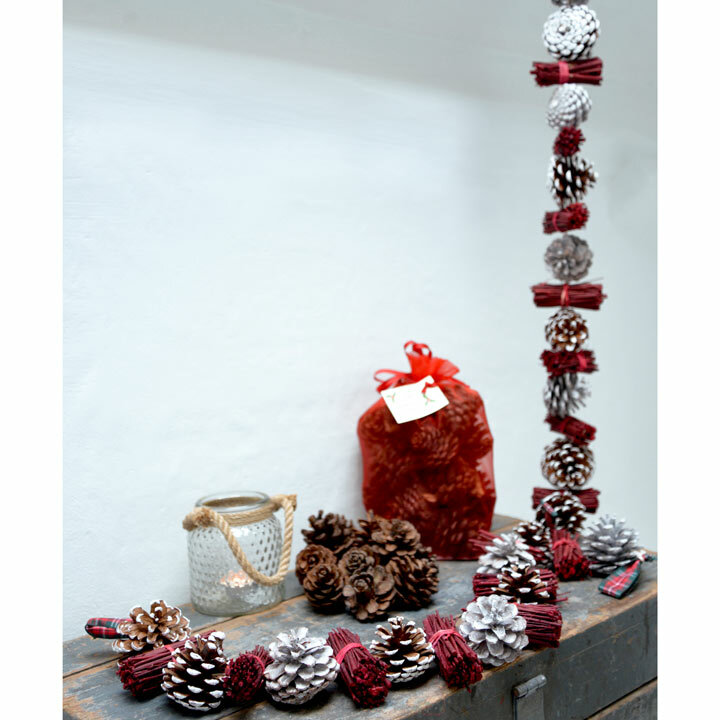 Pine cone garland (unperfumed), length 80cm, supplied as a set of two. 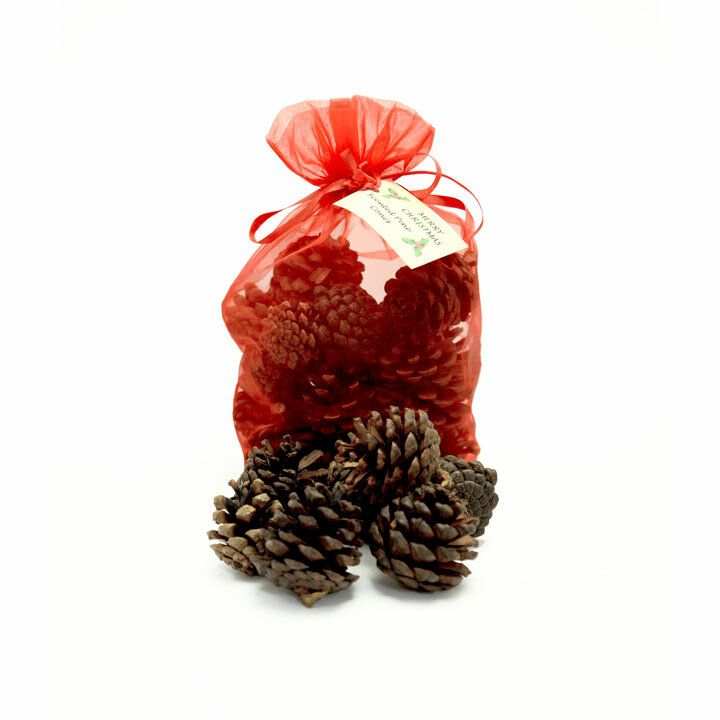 Bag of 12 scented cones in an organza bag (colours vary), 600gr. Buy the cone garland and bag of 12 scented cones together and SAVE £2.00!